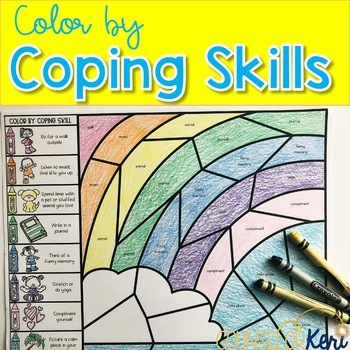 This color by coping skill activity is a great way to review coping skills with your students during spring time and Easter! 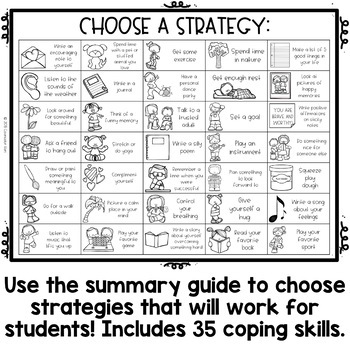 Review coping strategies that students can use when difficult situations arise in this hands-on activity! Students use the coping skills key on the left side of the page to color the hidden image on the right. 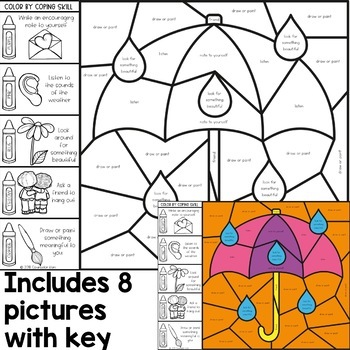 Includes, quick start user's guide, 8 pictures with 35 coping skills, and a situation/coping skills handout. You'll also love these color by feeling activities! Copyright © Counselor Keri, Keri Powers Pye. All rights reserved by author. This product is to be used by the original downloader only. Copying for more than one teacher, classroom, department, school, or school system is prohibited. This product may not be distributed or displayed digitally for public view. Failure to comply is a copyright infringement and a violation of the Digital Millennium Copyright Act (DMCA). Clipart and elements found in this PDF are copyrighted and cannot be extracted and used outside of this file without permission or license. Intended for classroom and personal use ONLY. See product file for clip-art and font credits.